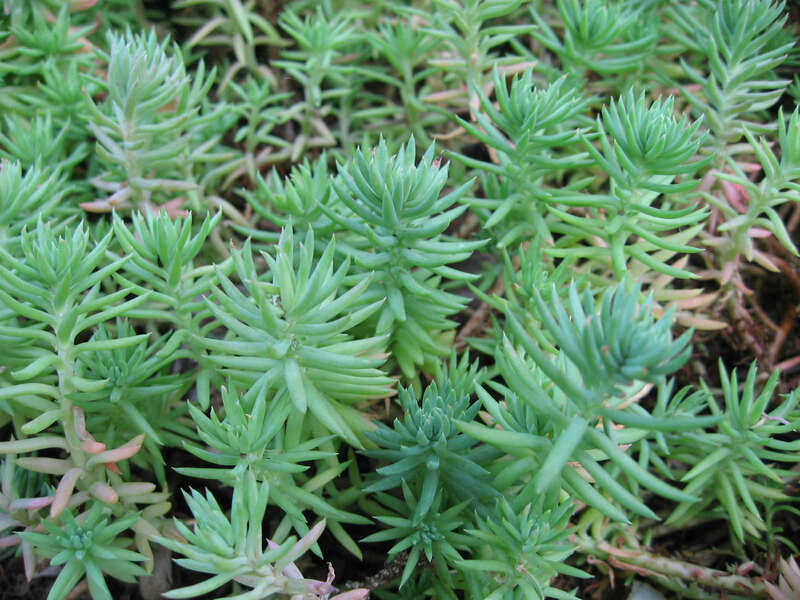 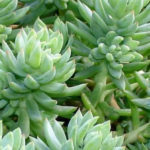 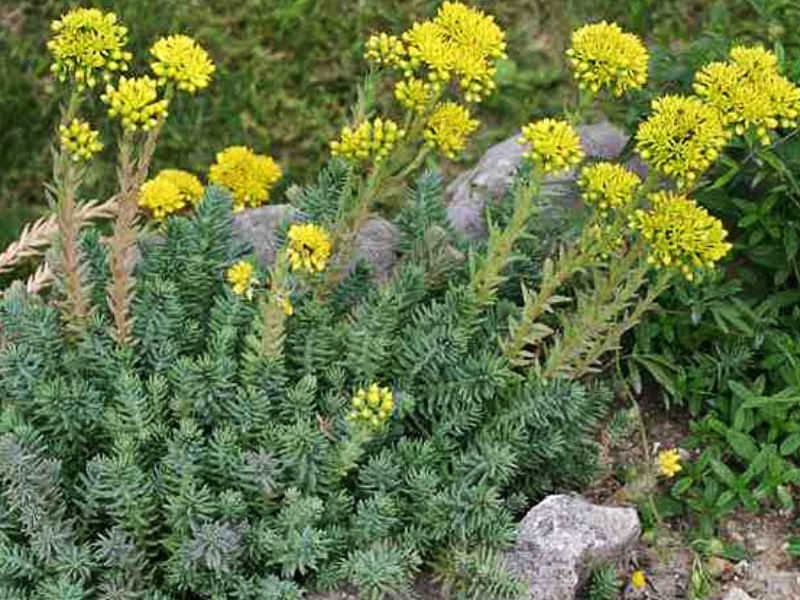 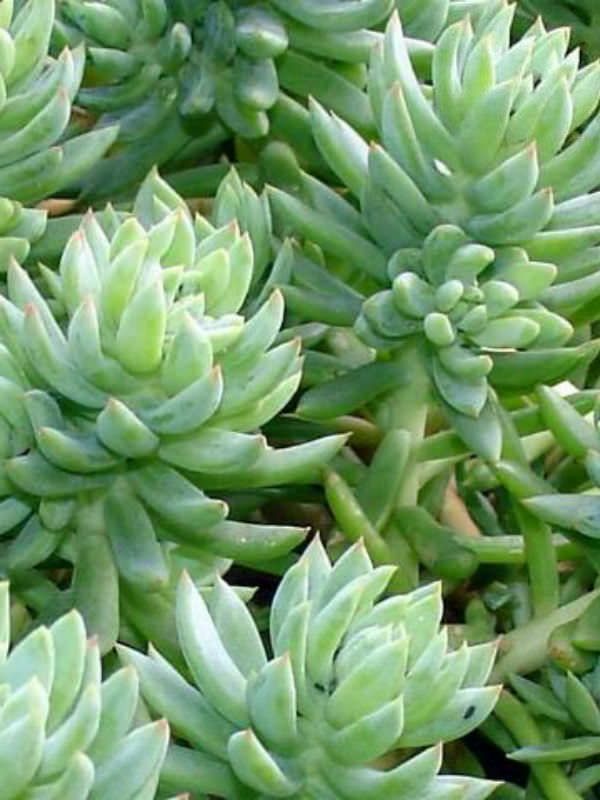 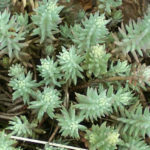 Sedum rupestre is a mat-forming stonecrop with small, fleshy, gray-green leaves up to 0.75 inch (2 cm) long. 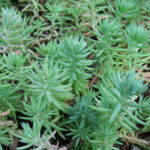 It is an evergreen plant that grows up to 4 inches (10 cm) tall but spreads up to 24 inches (60 cm) wide. The yellow flowers are star-shaped, up to 0.5 inch (1.2 cm) wide, and appear in terminal cymes in summer. 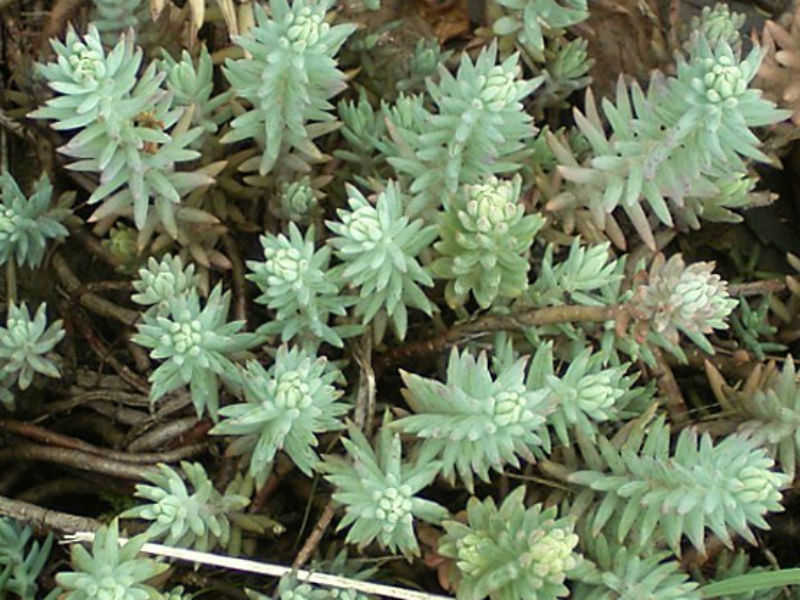 Native to mountain areas in central and western Europe.